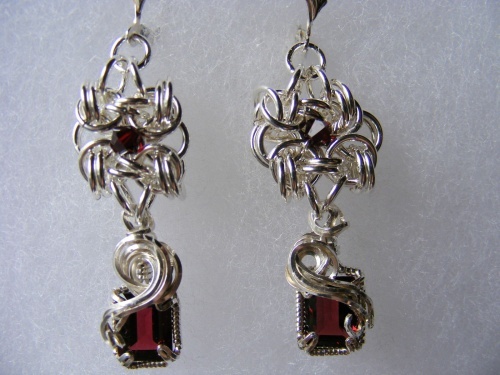 These luxurious garnets have been hand sculpted and then attached to a byzantine weave with more luscious garnet in the center. Hangs off lever back ear wires. Truly unique and very elegant. Earrings measure 2" from top of wire to bottom of stone.